Learn about the effective approach to detect toxic harmful environmental contaminants so you can act, before they cause adverse health problems! Environmental scientists all have one thing in common… finding a reliable and reproducible method to uncover unknown contaminants and quantify known substances, even at ultra-low concentrations. We know that this can be quite a challenge. For this reason, we offer a portfolio of mass spectrometry solutions to fit the evolving needs of industry regulators, academic and contract laboratories. 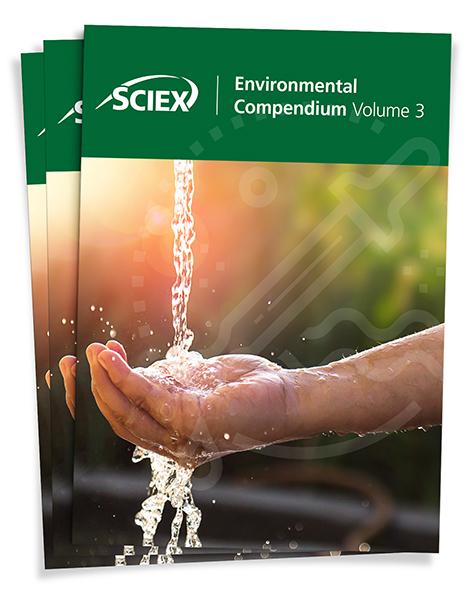 With this Environmental Compendium you will learn about the utility of SCIEX instruments and expertise we can off your lab.